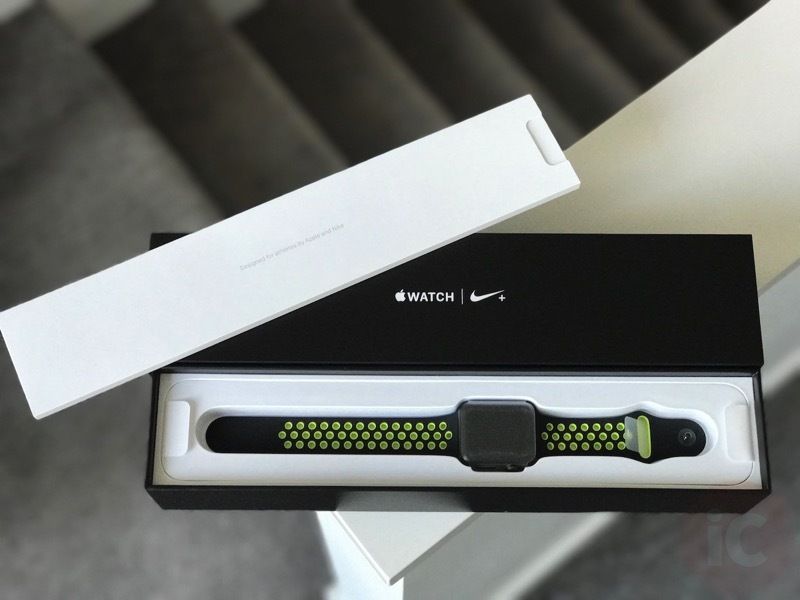 Today marks the launch of Apple Watch Nike+ sales in Apple Stores and we received our 42mm model with Black/Volt sport band this afternoon from the good ol’ UPS man. Here’s a gallery of our unboxing, with all photos taken by our iPhone 7 Plus (review still coming). 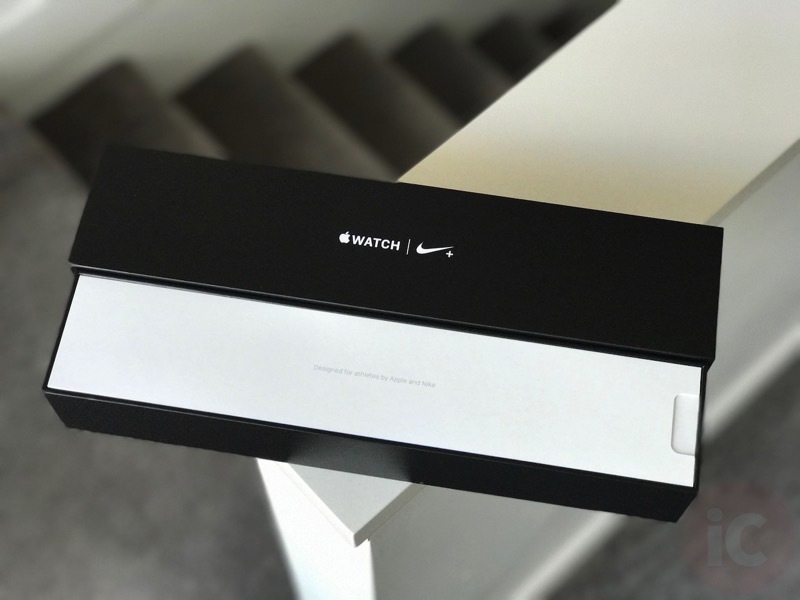 We’ll give a quick first impressions of this watch as we go through these pictures. 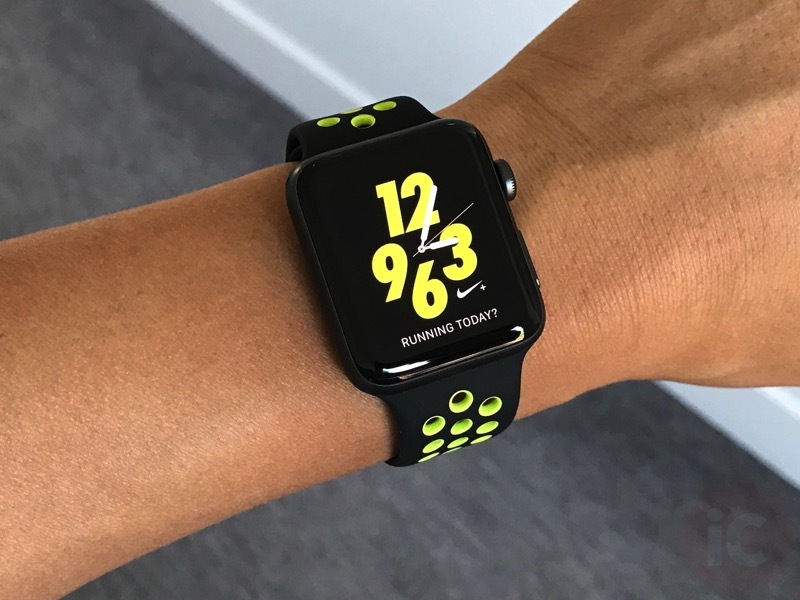 The default analog watch face doesn’t have any complications other than the Nike+ question “Running today?” In the customize screen, you can add complications to the top left and right of the face. 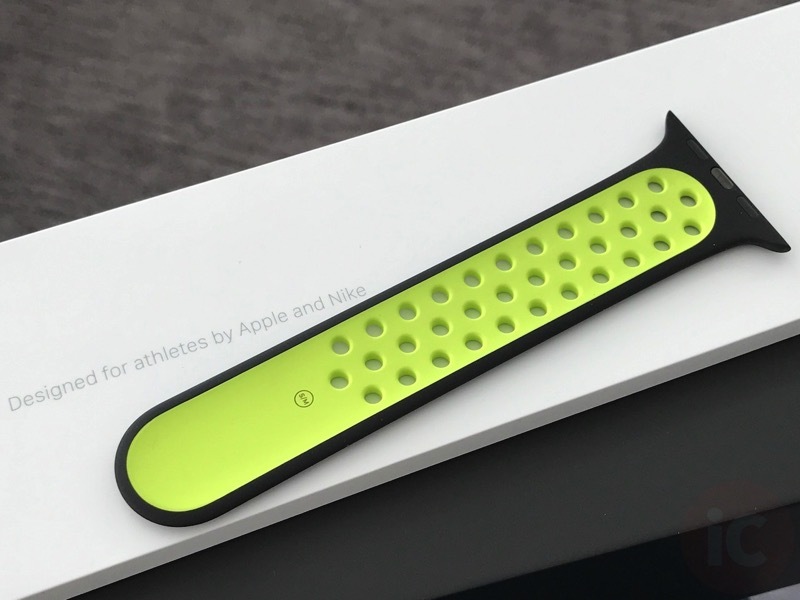 Here is a closer look at the Nike+ band. 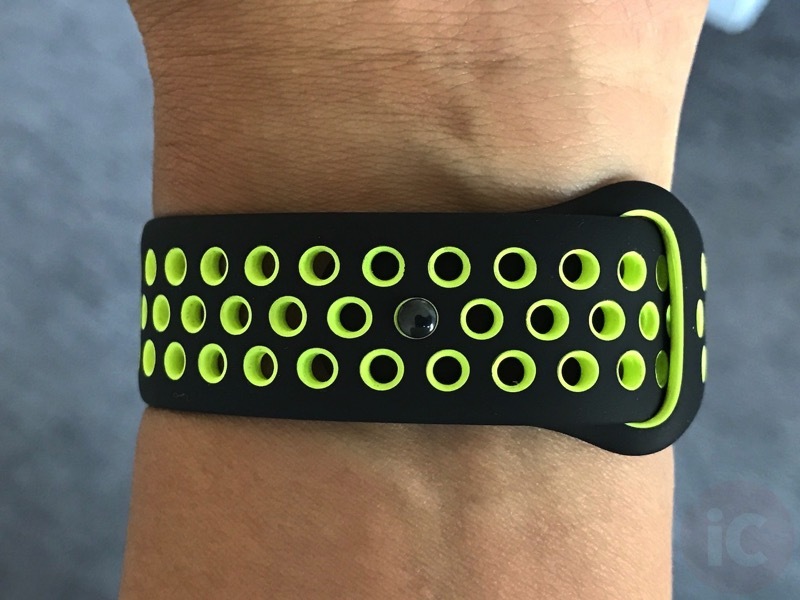 The hole spacing is exactly the same as the regular Sport band. 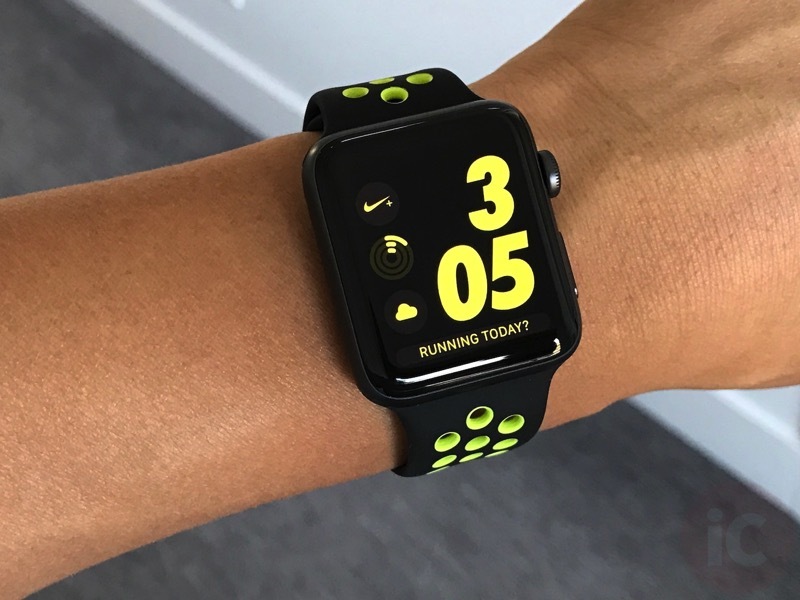 The Nike+ Run Club app is installed by default and you can set a reminder to tell you what time to run in 30 minute increments. 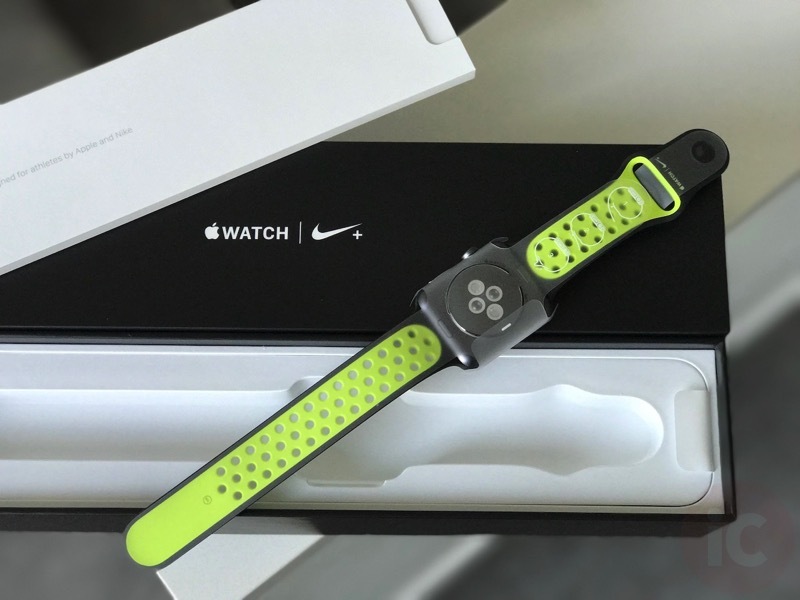 With this Series 2 Apple Watch, I’ll soon be putting it to the test in the pool. 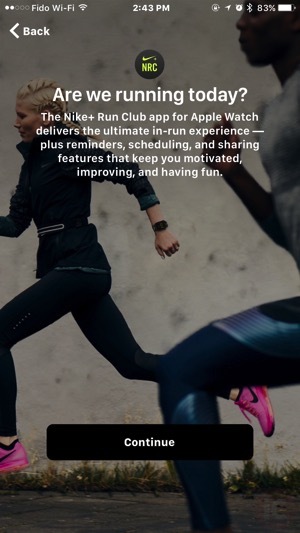 Personally, I use Strava to track my runs and bike rides, so I won’t be using the Nike+ Run Club app. It would be nice to be able to have the Nike+ app record my runs, but write them to Strava. The same goes for my runs recorded with the stock Workout app. 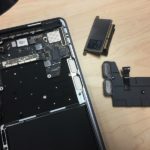 This is something Apple and third party developers need to work together on to address. 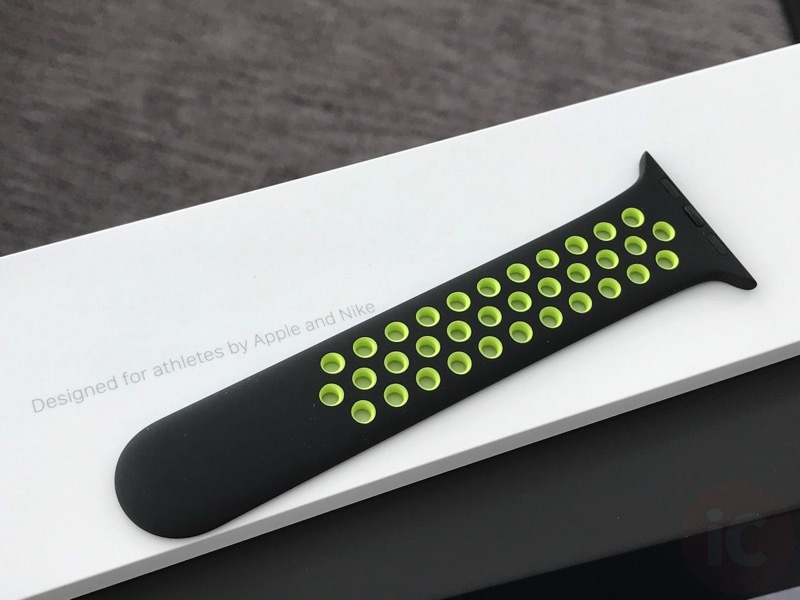 Overall, the band looks pretty awesome and while you can’t tell immediately that it is lighter versus a normal Sport band, it does pack less material. 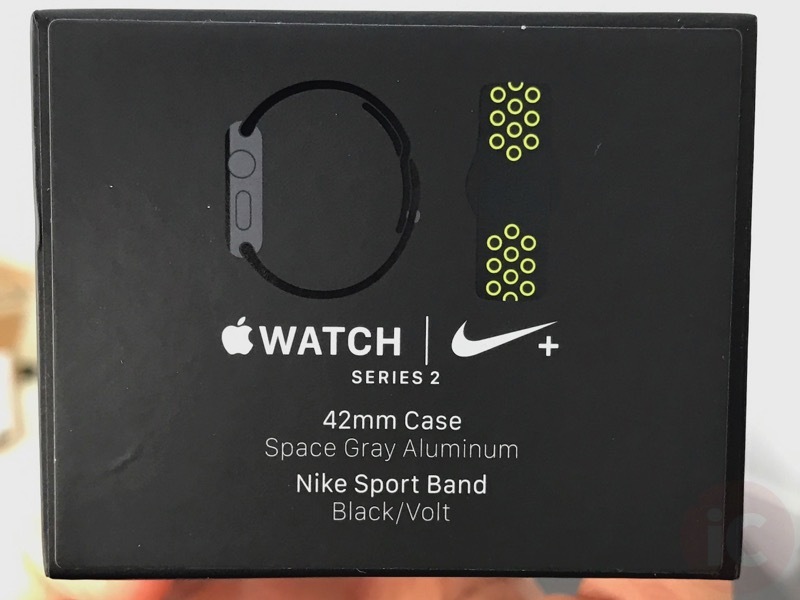 Also, I noticed on a couple perforations, the Volt colour ‘bled’ a tiny bit onto the black part of the band. It’s only noticeable if you look closely, but I can see it. 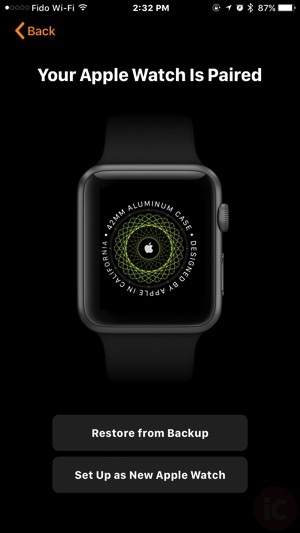 Not a deal breaker, but with Apple’s high expectations, you’d think it would be perfect. 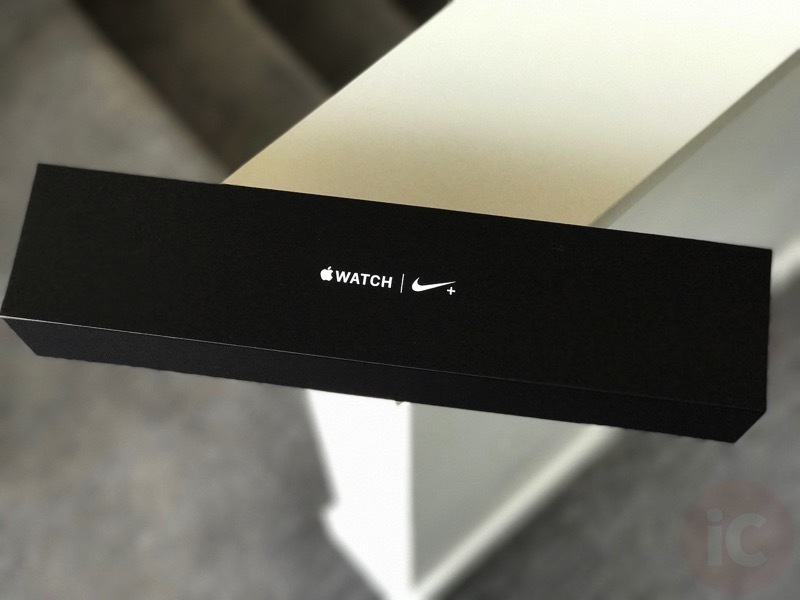 Click here to read my original review of the Apple Watch Series 2 (I opted to send it back for this Nike+ version instead). 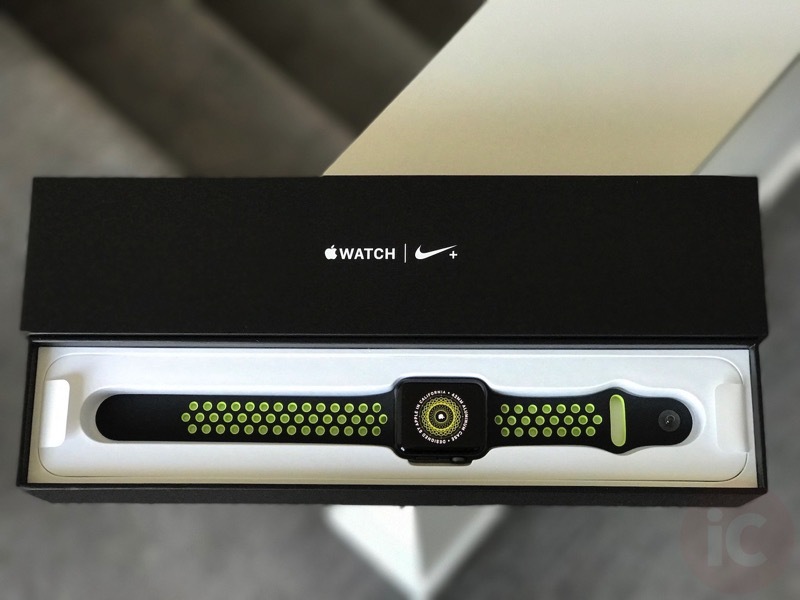 Did you pick up an Apple Watch Nike+? What do you think of it so far?